More than 900 people came to Broomall today to pay their respects to Philadelphia Eagles head coach Andy Reid and his family. Reid's oldest son, Garrett died suddenly last weekend. Today's funeral attracted NFL executives, players and coaches from around the league who stood in line for hours including NFL Commissioner Roger Goodell. Philadelphia Eagles head coach Andy Reid will move forward after laying his son Garrett to rest today at the Church of Jesus Christ of Latter Day Saints in Broomall this morning. Assistant coaches Marty Mornhinweg and Juan Castillo have run Eagles? practice since Sunday. Andy Reid is expected to rejoin the team for the preseason home opener against the Steelers on Thursday. 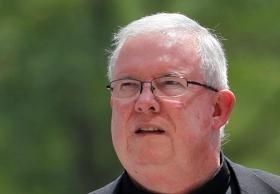 Monsignor William Lynn was denied bail today. Lynn is serving 3 to 6 years for his role in the clergy abuse case and had requested bail pending appeal. The judge ruled Lynn has no right to bail and would not hear any argument. Now, the Archdiocese is drastically cutting back funding Lynn's defense and 2 of his four lawyers are no longer on the case. The Philadelphia Eagles family is dealing with the death of Andy Reid's oldest son Garrett at Eagles training camp at Lehigh University. Garrett Reid who was working with the Eagles strength and conditioning coaches, was found dead in his dorm room. Suicide and foul play have been ruled out. The funeral is tomorrow in Broomall. The Philadelphia Housing Authority is taking away an employee benefit many saw as excessive - free cars. 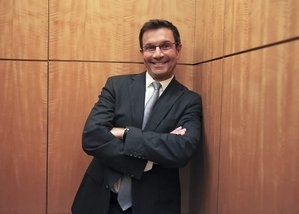 As many as 200 employees had take-home privileges for agency owned cars. No more. Excessive spending is being cut across the agency as interim Executive Director Kelvin Jeremiah right-sizes the organization. Philadelphia police arrested a suspect in the attack of an 87 year old and her son during a home invasion on Tuesday in West Philly. The suspect, Jimmy Morrison, was arrested in Chester County after he gave a fake name during a traffic stop. The victims, Yvonne Gaines and her 62 year old son James Brinkly are recovering from their stab wounds. A heavily armed gunman was arrested Tuesday evening on a crowded SEPTA train. An alert passenger notified police when they noticed a man board the train at City Hall with a gun protruding from his bag. It turned out to be an AK 47 assault rifle. He also had a 38 caliber handgun, a 12 inch bayonet knife, live ammo, $700 in cash, marijuana and 22 Percocet pills. Jermal Ponds is being held on $100k bail. 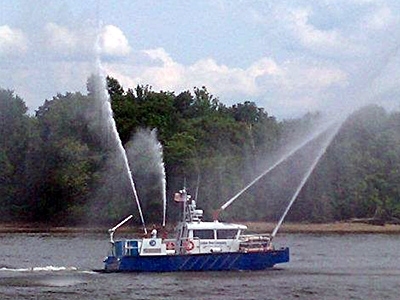 The City of Philadelphia may take a shot at landing a $1 million terrorist fighting fire boat from Bensalem Township. Marine 37 is the official name of the vessel but has been nicknamed the "Bear on the Delaware" because Bensalem can't keep up with maintaining the little used boat. An American Airlines flight landed safely at Philadelphia International Airport this afternoon after it reported smoke in the cockpit. The plane landed without further incident and all 132 passengers onboard are believed to be okay. Philadelphia Police released the identity of the man wanted in connection with the sexual assault and burglary of a 78 year old woman in Germantown. He is 24 year old Ronald Gregory and he is the primary suspect in last week's break-in. The FBI has made an arrest in the scam that duped Philadelphia weatherman John Bolaris twice out of more than $43,000 in credit card charges. Alec Simchuk picked up in Miami, is a nightclub owner with alleged ties to an Eastern European crime ring that uses attractive women to scam unsuspecting men into parting with their credit cards. Bolaris was scammed back in 2010 two days in a row.